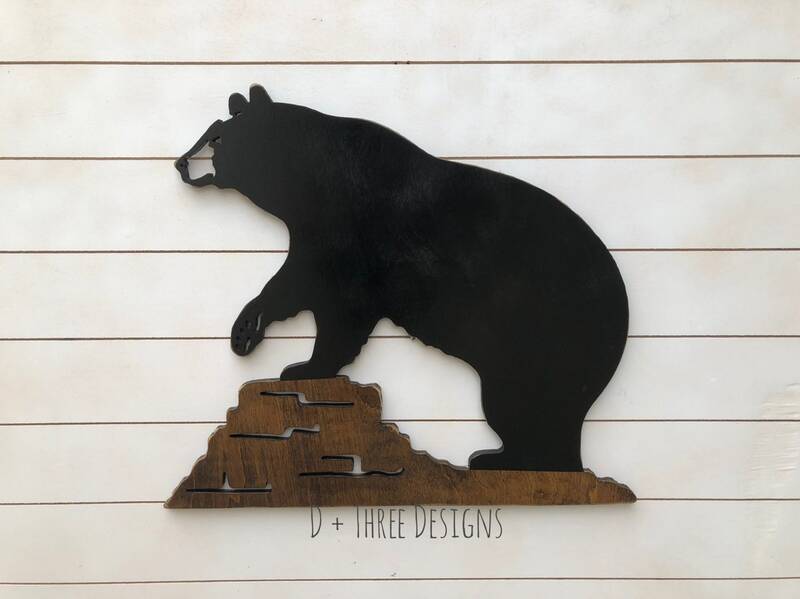 This rustic bear decor piece is great for a cabin wall hanging, cabin decor piece, or just a wall hanging. 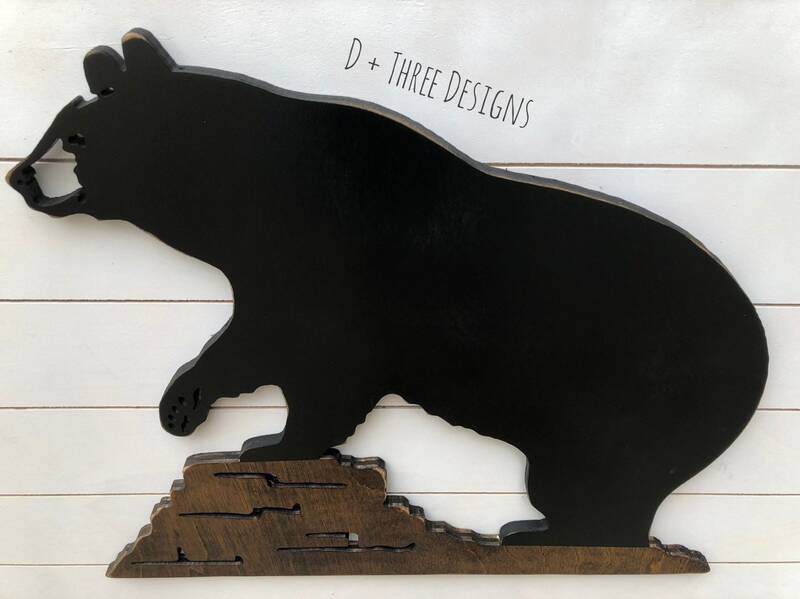 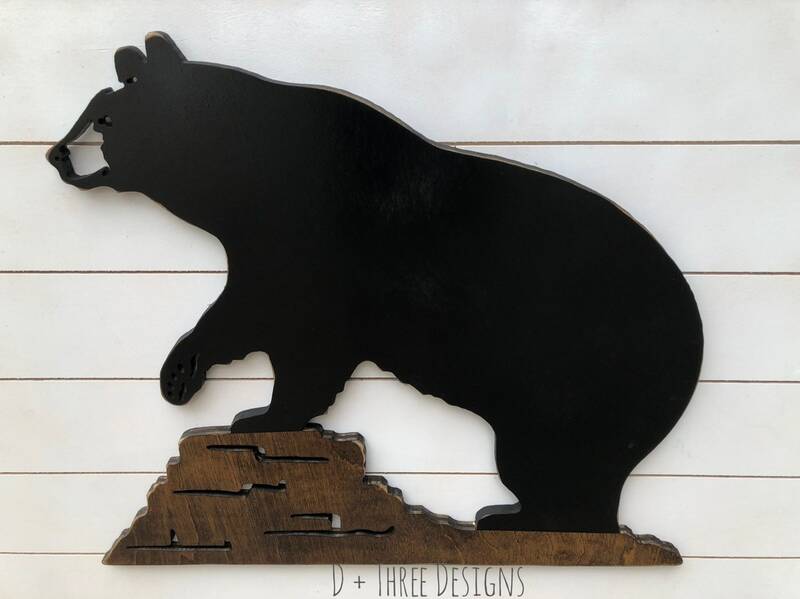 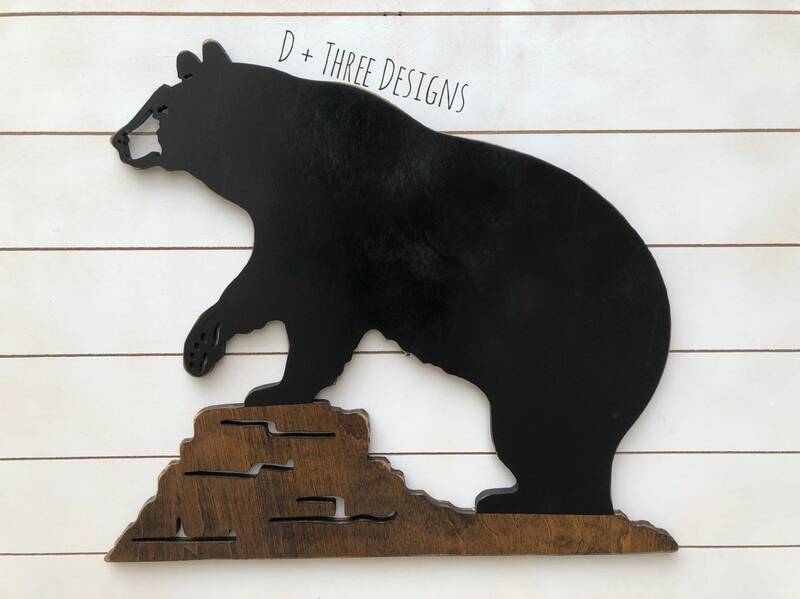 The bear wall hanging measures approximately 24” tall with the width proportional. 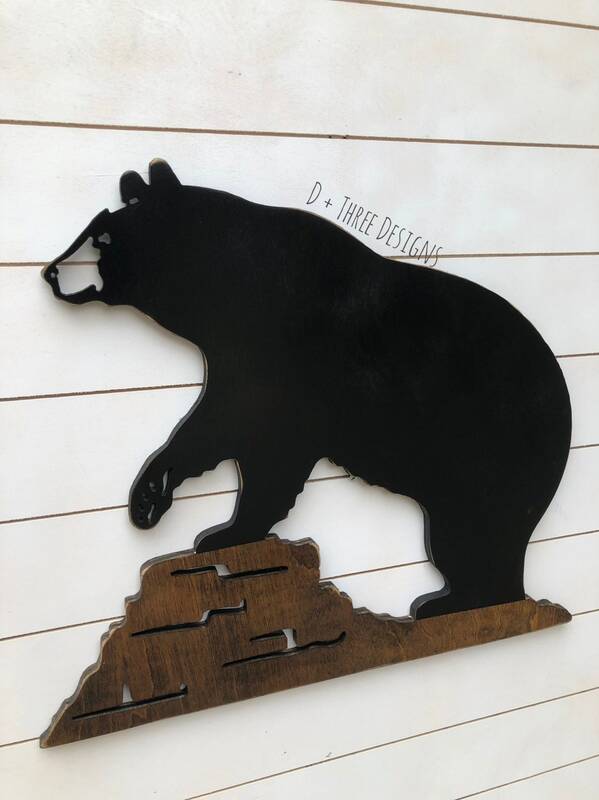 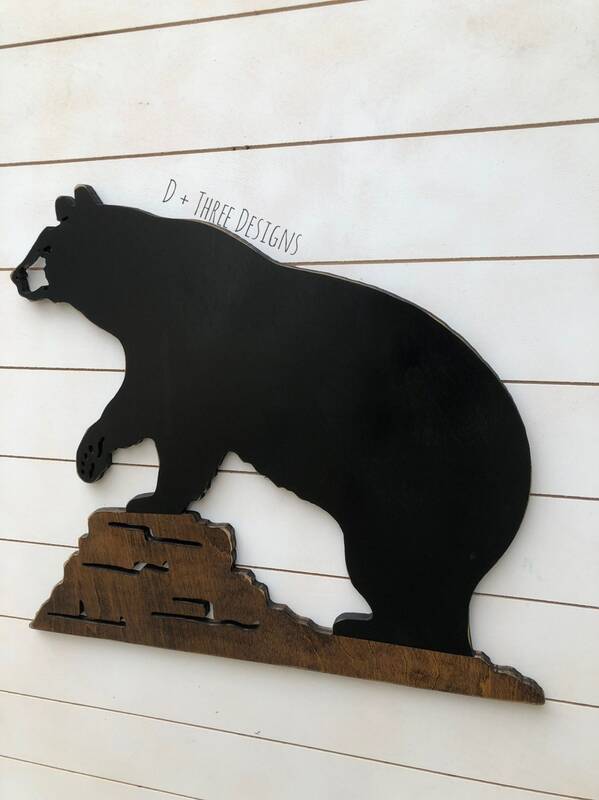 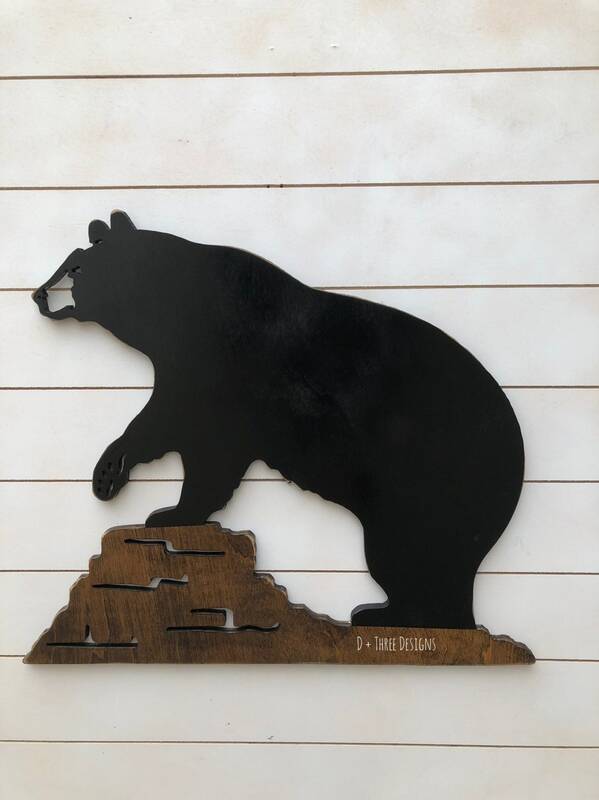 The bear wall sign is distressed to add the extra rustic touch.